Both Chinese and Ayervedic medicine have used turmeric for over 4,000 years, according to the web site for the University of Maryland Medical Center (UMMC). It has also been used as a food coloring and as a culinary spice. The root of the plant is dried then ground into a powder before use. Before beginning to take turmeric medicinally, consult with your health care provider for specific instructions. The web site for the U.S. National Library of Medicine (USNLM) lists the medicinal uses for turmeric as blood clot prevention, cancer treatment, heartburn remedy, gallstone prevention, treatment for high cholesterol, inflammation reducer, irritable bowel therapy, arthritis treatment and therapy for viral infections. There is no specific mention of using turmeric to treat a cough. However, if the cough is caused by either a viral infection or general lung inflammation, turmeric may potentially be helpful. According to the National Center for Complementary & Alternative Medicine, turmeric has not been clinically studied much for use to treat any medical condition. But the site says that the compound curcumin that’s found in turmeric may have anti-inflammatory and anti-cancer properties. 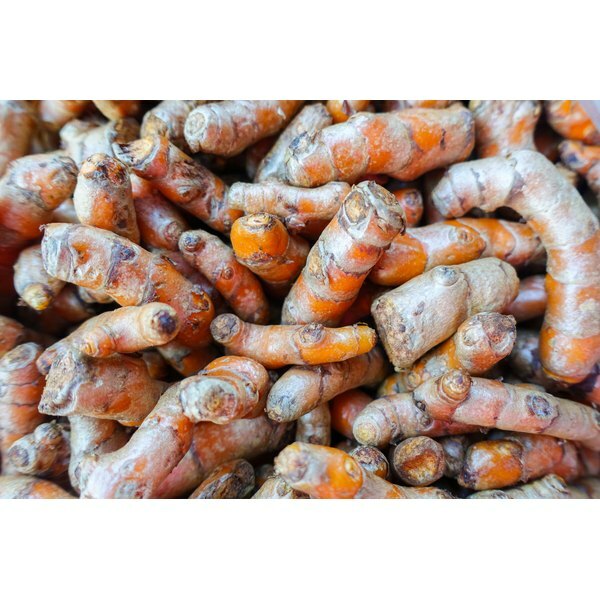 Much more clinical study needs to be done, says the site, before turmeric can be recommended as a medicinal treatment, including to treat a cough. The web site for the Memorial Sloan-Kettering Cancer Center warns that even dietary turmeric may interfere with the actions of some anti-tumor chemotherapy medications. Anyone undergoing chemotherapy is advised to avoid the use of turmeric as well as turmeric-containing foods. The UMMC web site reports that the amounts of turmeric generally found in foods are considered to be safe. However, it warns that people who take medications for diabetes, blood thinners or medications to reduce stomach acid should avoid the use of turmeric supplements. The herbal supplements may cause potentially harmful interactions with these medications. As a culinary spice, ground turmeric is available as a powder in the spice section of most supermarkets. For people wanting to try treating a cough by taking turmeric supplements, the herb is available as capsules, fluid extract and as a tincture. But it’s best to discuss using turmeric in this way with a pharmacist or health care provider to make sure turmeric will not cause other health problems. The USNLM site warns that some people may have allergic reactions, including skin contact dermatitis from turmeric. It advises anyone with known allergies to plants in the ginger family to avoid turmeric since they may also be allergic to it. It is possible for the use of turmeric to cause an allergic reaction, even if it’s been used before with no reaction. Be aware of rashes, hives and signs of swelling of the lips, tongue or throat while taking turmeric. If these occur, stop using it right away and contact your health care provider.